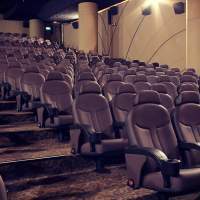 There’s no getting away from it, Singaporeans absolutely love the cinema and it has one of the highest per-capita attendance rate in the world! According to the Singapore Film Commission, over 24.5m people went to the cinema in 2013 and with movie theatres this good, it’s easy to see why! From $200m Hollywood blockbusters to local language films to independent, low budget arthouse flicks to IMAX and 3D awesomeness – it’s all here for you! 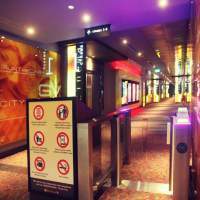 Here’s the First Stop Singapore guide to Singapore’s best cinemas. The Cathay on Orchard Road is on the fifth floor of a youth-oriented ‘lifestyle mall’ taking in food, fashion, music and leisure and is one of the hippest hangout joints for Singapore’s cool kids. Open until 2.00am at the weekend, it shows all the latest blockbusters and even has a cinema (Hall 3) design exclusively for couples with 48 pairs of seats. 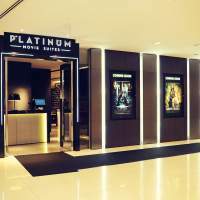 Fifteen cinemas with 2,300 seats, it’s the largest cinema in Singapore and as with most all multiplexes, the Platinum Movie Suites offer a first-class cinema experience. Cathay Cineleisure Orchard has the absolute latest in cinema technology including 3D, 4K digital projection and a world-class sound system. 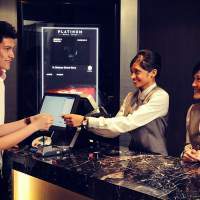 The boss of Cathay Organisation has been quoted as saying ‘we offer the most customised and prestigious cinematic experience for discerning patrons, right in the heart of Orchard Road’ and he might well be right. The Projector is a world away from the multi-million dollar, shiny floor, mega-expensive popcorn multiplexes springing up all over Singapore but in Golden Mile Tower just off Beach Road, you’ll find a casual, laid back art space showing classic and cult favourites, arthouse cinema, indie flicks, foreign and locally-made films by new talent as well as theme nights and retrospectives. 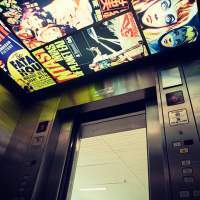 There are two cinemas on the 5th floor of the historic building and the ethos of the owners is focused fundamentally on the films rather than a profit line on a spreadsheet. A cool hipster-hangout, The Projector’s box office and foyer is reminiscent of a high school cafeteria and the stadium-style seating is functional without being plush. In the second screening room called ‘Redrum’ (pronounced ‘Red Room’) there are bean bags on the front three rows. This is cinema going at its most basic but it’s one of Singapore’s best cinemas because of it, not despite of it. After a S$20m renovation programme, Shaw Lido is perfectly located close to Orchard Road’s shopping malls and what could be better than shopping, food and a movie? 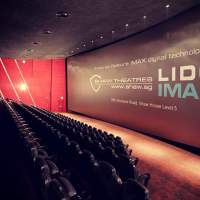 It has eleven screens including Singapore’s first IMAX Digital Theatre System showing the widest collection of films in the city and the complex is renowned for having excellent seating, a stunning interior foyer and ticket hall that wouldn’t look out of place in a top hotel and an enticing atmosphere that makes movie watching here a fully immersive experience. 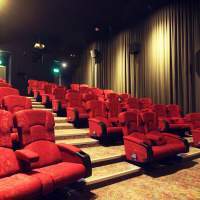 Shaw is the longest-running cinema operator in Singapore and with stadium-style seating, lots of legroom, excellent disabled access and booming sound, it’s a beautiful mix of old-school silver screen nostalgia and state-of-the art technology. With so much on offer, it’s a great example of why there are so many family attractions in Singapore. 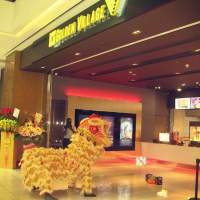 Home to Asia’s widest cinema screen at 22.4 metres, Golden Village at VivoCity is widely regarded as the best cinema multiplex in Singapore and it really does cover all bases. 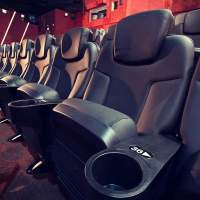 Online booking is easy, the theatres are clean, each cinema is equipped with state-of-the-art Dolby Atmos sound and it’s a very easy place to get to and from. 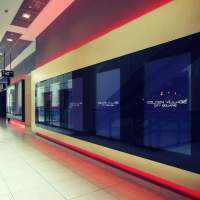 Like many of the largest multiplex cinemas in Singapore, it caters for those who want a little more from their cinema-going experience. 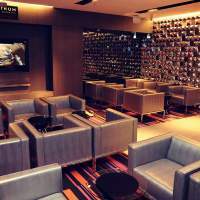 Described as ‘the ultimate in luxury movie viewing’, Gold Class guests are treated to a sophisticated nightclub-style feel with excellent food and wine, call buttons, first-class airline-style seats and even a blanket if you get chilly! 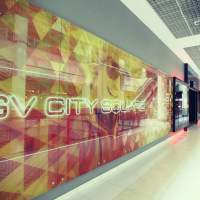 Golden Village at VivoCity is across the water from Sentosa and what could be better than a day full of activities followed by a blockbuster at one of Singapore’s best cinemas? Imagine a chilled-out rooftop bar mixed with an excellent restaurant and an intimate movie theatre and you’ll come close to The Screening Room. Sitting on the slopes of Ann Siang Road in Chinatown, the area has become a hotbed of cool bars and restaurants and uniquely pairs food with film for an immersive movie-going experience. You won’t find Spielberg, Cruise or Fassbender here. 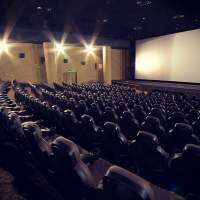 What you’ll find is classic Monroe, Hepburn and Bogart as well as a smattering of ‘cinema Français’ and you can even hire the venue for private screenings. It’s like watching TV in your own (albeit very nice) living room. 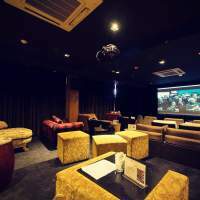 The Screening Room grew from three restored1930s shophouses and is the epitome of understated cool for those who want to forego the nondescript cinema chains and go for something a little more ‘Singapore’. 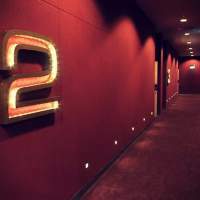 The Cathay Cineplex at Dhoby Ghaut may look like a 1930s art deco building but there’s nothing 1930s about the movie-going experience, it’s pure 21st century. The flagship cineplex in the Cathay stable, it was the first to show 3D movies in Singapore and has eight cinemas seating 1,700 people. 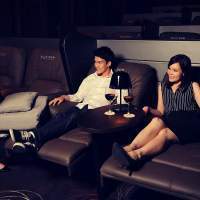 The Grand Cathay is the chain’s largest theatre and seats 590 in air-cooled comfort while for an altogether more luxurious experience, the Platinum Movie Suites with airline-style first class seating, dinner and a full butler service is most certainly the way to go. With late opening, huge halls and plenty of food and drink options, the Cathay is one of the best cinemas in Singapore. 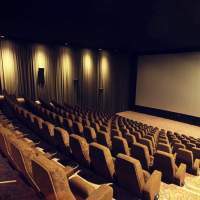 Showing multi-million dollar Hollywood hits as well as the very best of Asian cinema and generic non-mainstream films, Filmgarde Cineplex has found a seat at the top table of Singapore’s cinema experiences. Eight cinemas seating over 1,400 people, the independent chain (there’s another complex in Kallang) is modern, air-cooled and as good as it’s more established peers. Outside there’s plenty of places to grab a bite to eat before the film starts and when you’re firmly inside, the leg room is generous and the seats are plush, just as you’d expect for a major new complex although there have been sporadic reports of the air-con being on the chilly side so it might be wise take a jumper! 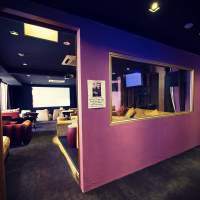 Sitting on Victoria Street close to the National Museum of Singapore, Filmgarde Cineplex Iluma Bugis offers a ‘lifestyle and design-centric’ approach to movie watching and is one of the best cinemas in Singapore. It’s clear that with so many great screening options and a host of other astounding entertainment available, Singapore has become an obvious choice for those travelling long haul or seeking the top stopovers to Australia from Europe. Small wonder then that millions of people choose Singapore every year as their destination of choice.